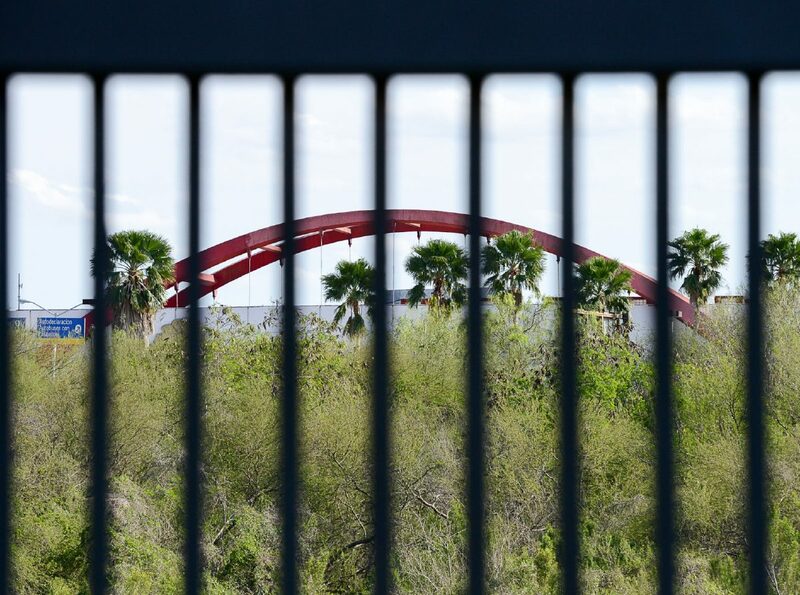 EDITORIAL: Where does Hidalgo Co flood mitigation stand as preparations made for a new border wall? As President Donald Trump last week proposed $2.7 billion allocated in the 2018 fiscal budget for border security — which includes $1.6 billion to build several miles of new wall in the Rio Grande Valley, as well as extend the Hidalgo County levee wall — lawmakers in South Texas are caught in a confusing and politically delicate situation about whether increasing the existing levee system and border fence, which helps mitigate flooding in this low-lying region, really is performing the job it was intended. To help answer that question, we call on federal officials to clarify agency positions that has local activists asking if the existing levee system, parts of which are almost 10 years old, has even been fully certified by federal regulators and if it would prevent flooding, should a major weather event occur here. The political nuances associated with any revisions, extensions or improvements to the existing 20 miles of border levee fence in Hidalgo County — which were built the last decade and serve a dual purpose of keeping out illegal immigrants and helping with drainage issues — are so complicated that county officials have even publicly flip flopped in the past couple months on whether they support extending the system with similar fencing. On Feb. 21, Hidalgo County Judge Ramon Garcia sent a letter to U.S. Rep. Michael McCaul, R-Texas, chairman of the Homeland Security Committee, clearly in support of the levee fencing, which is officially called the Hidalgo County Border Infrastructure Improvement Program. 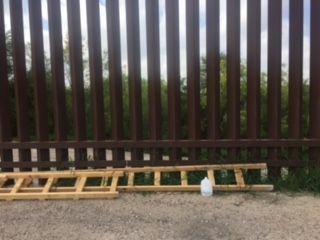 Homemade ladders and a water jug are shown near a border levee fence in Hidalgo on March 19, 2017. $197 million, much of it paid by the federal government through the Secure Fence Act of 2006. The implication was this could accommodate Trump’s wishes for a border wall. And it appears the Trump Administration agrees, given their budget plans for border security, proposed Tuesday, that want to add 28 miles to continue Hidalgo County’s current levee wall. But after several immigrant advocate groups vehemently protested Garcia and the county’s position, Judge Garcia suddenly changed his position and said a couple weeks ago that he is not in support of a border wall, but was merely concerned about the county’s drainage issues and saw this as a vehicle for fixing long term problems. The Drainage District Board also that day voted unanimously to approve a resolution opposing construction of a border wall. This drew applause from immigrant groups, but has caught Hidalgo County Drainage District No. 1 General Manager Raul Sesin in the crosshairs. Sesin had publicly told the Drainage Board that the current fence is not accredited by the Federal Emergency Management Agency (FEMA) and needs improvements. That’s why clarification is necessary, especially since the Trump Administration now appears to endorse such a plan. Sally Spener, the foreign affairs officer for the U.S. International Boundary and Water Commission, earlier this month at a meeting in Mercedes said that the border levee fence has been certified by IBWC against flooding from the Rio Grande. The structure is 97 percent complete and she told us in no uncertain terms that it was designed and built with two purposes: To keep out illegal immigrants and to alleviate drainage on the Rio Grande. But Sesin says the land side north of the structure must be accredited by FEMA and he said that has not happened. Whether Congress appropriates the money that Trump has requested for a border wall, or not, this apparent impasse between agencies must be clarified and citizens of South Texas must be assured that flood protection measures that they helped to pay for would actually work during a major weather event. Such confusion became clear as we witnessed a tense conversation on May 16 between Sesin and Stefanie Herweck and Scott Nicol, two members of the Lower Rio Grande Valley Sierra Club, outside of a Drainage District meeting in Edinburg. At question was what would need to be done to improve drainage to garner FEMA accreditation — such as possibly building pumps to shoot water over the fence — and how much the local community might have to pay for these “improvements,” which the environmentalists believe is just cover for building a border wall. Sesin also told us that flood maps have not been updated here since 2003, which should not be the case, given that the levee wall was built after that time and certainly should have a mitigating impact on any potential flooding. Will a drainage analysis be done? And if so, who does it and how much will this cost and why? And who are the partners? Does this include individual communities? And if so, what will this cost them? And will this need to be done before additions are added to the existing levee structure, as the Trump Administration plans? The bottom line, we believe, is that misinformation abounds regarding the functionality of our current border levee fence and whether a new potential border wall is needed. So we call on FEMA officials to come down here and to meet with local officials and to publicly clarify this issue. So do we, and quickly, especially as President Trump has earmarked our area for these controversial border wall plans.